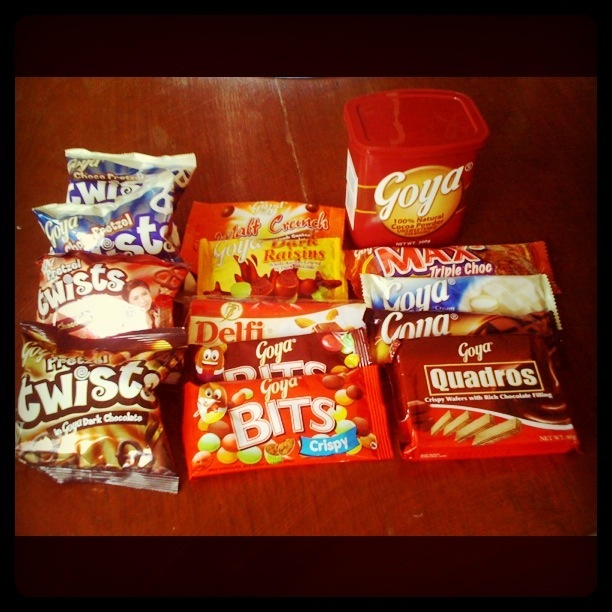 A couple of weeks ago, I received a packful of goodies from Goya to try. My daughter and I had a field day taste testing everything. I had fond memories of Goya from childhood. Whenever my mom had spare cash from the grocery money, she would buy my sister and I a bar of Goya chocolate which was then wrapped in tin foil and brown packaging. With the advent of globalization, chocolate sweets that we’ve grown to love such as Goya and Chocnut took a back seat. The chocolate market was manopolized by imported brands like Hershey’s, Tobleron, and M&Ms. I am glad that Goya, which is proudly a homegrown brand, was able to reinvent itself and successfully made a comeback. Since my palate has grown used to the taste of imported chocolate brands, I was quite surprised and happy to note that the new Goya products taste as good if not better than their imported counterparts. Goya Quadros is at par with Loacker wafers in taste since it has the same perfect cocoa-wafer combination. Goya Bits actually do taste better than M&Ms as they are crunchier and perfect as an in between meals munch. Malt Crunch is less sweet than Malteseers making it a good snack as well. Delfi almond chocolate which has the same good quality as Cadbury almonds, taste good too. Goya milk and white chocolate are up in the league with Hershey’s chocolate,you would even mistake their taste for Van Houtten chocolates. And Pretzels Twists I must say taste better than the other choco pretzels in the market. I am happy to learn also that Goya has diversified into baking, manufacturing products as well and has released choco syrups, cocoa drinks, and cocoa powder. 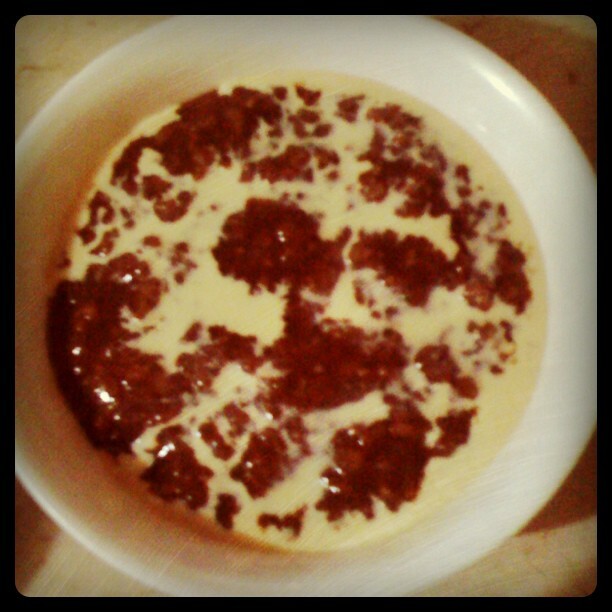 My mom used the Goya cocoa powder in making champorado and it turned out so good! Hi Blanca! I feel such a joy when I discover, just like you did, that the local brands are reinventing themselves. You could find again the tastes long forgotten from your childhood and boy, what an immense pleasure! Thank you for sharing this post and I’m on my way to buy myself an ice cream that tastes just like the one from my childhood! I’m a big fan of Goya. It’s brought back a lot of the old time foods that I had when I was child that my mom used to cook. I am so glad that they are coming out with so many new things. It’s about time, right? In all your products I m a big fan of Goya chocolates…It’s awesome…and such a good taste..when i go to any place and when i saw a chocolate store then I first find My favorite Goya chocolate….